Dimensions 1 by 8.50 by 10.50 in. 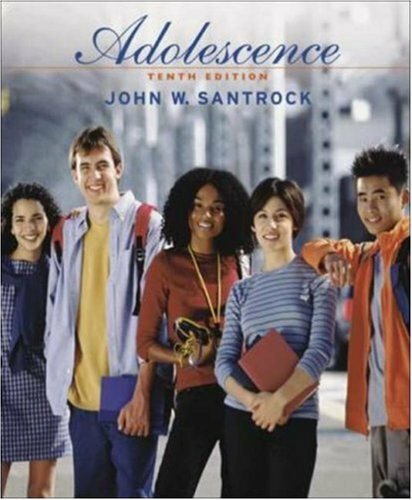 Amazon.com description: Product Description: More undergraduate students continue to learn about the field of adolescent development from this text than from any other. Applauded by adopters as eloquently written and intelligently presented, this text bears John Santrockâs trademark balance of accurate, current content and effective pedagogy. The tenth edition unveils a new organization and emphasizes current research as well as applications to the real lives of adolescents. A rich collection of media resources supports the text and brings to life the critical experiments and concepts in adolescent development.